Hai guyz! 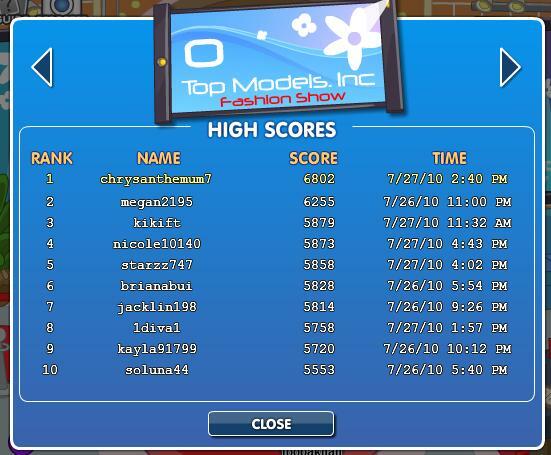 I just finished a fashion show and got first place in the fashion high scores list and I'm a non!  LOL And if you're wondering, I was on server Lime Llama. Thnx roxine. I think that was the highest I went! Thanks. 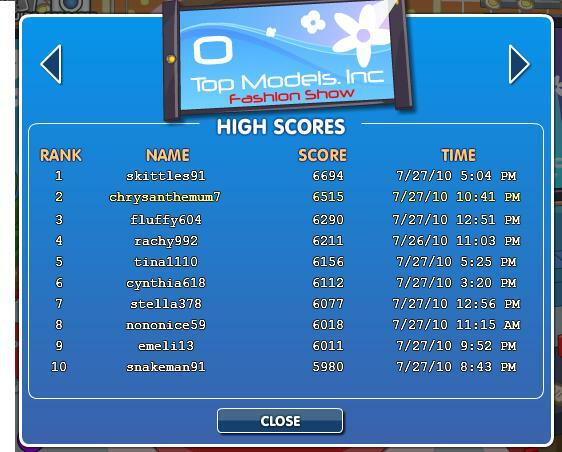 I just got on another server (,Green Giraffe) and got a new high score. I didn't know I could make it into the high scores before!